The Closing Party for Essential Moments at Cinnamon Indian Cuisine is Sunday June 8, 2014 from 4-6pm. The show will be viewable through Monday night June 9. 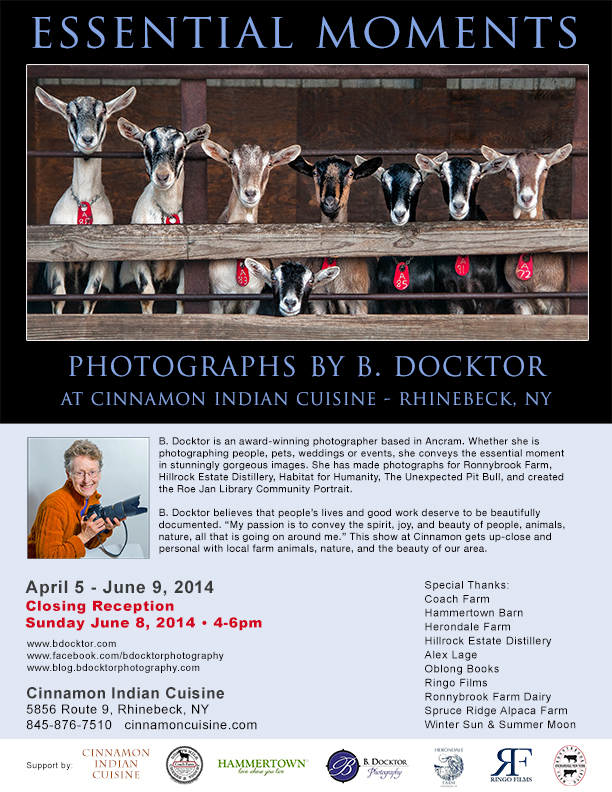 I am grateful to Shiwanti Widyarathna, Cinnamon Indian Cuisine’s owner, for the invitation to exhibit Essential Moments–a beautiful collection of photographs of farm animals and scenes from Dutchess and Columbia County. Some of the locations represented at Essential Moments are Coach Farm in Pine Plains, Dashing Star Farm in Millerton, Herondale Farm in Ancramdale, and Spruce Ridge Alpaca Farm in Old Chatham. Also included are closeups of nature–water and flower images that have a soothing and joy-giving affect in healthcare environments and business offices. This exhibit has resulted in a permanent installation at the new offices of Ettinger Law Firm in Southampton, NY. 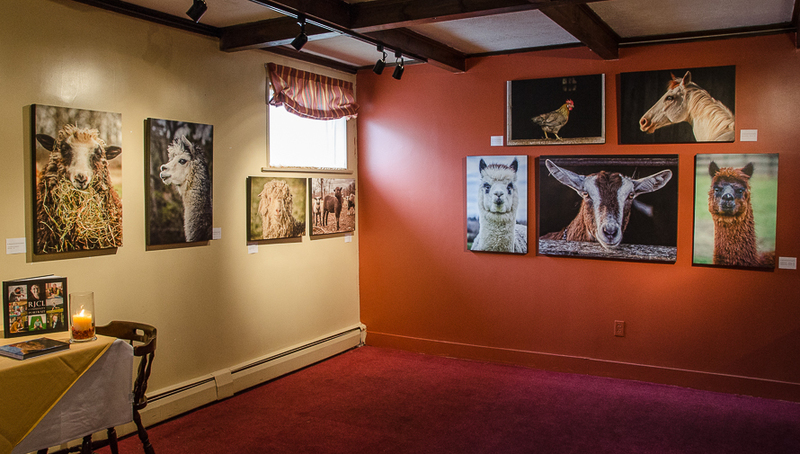 Some of the images chosen are larger versions of those exhibited at Cinnamon, as well as others not in this exhibit. 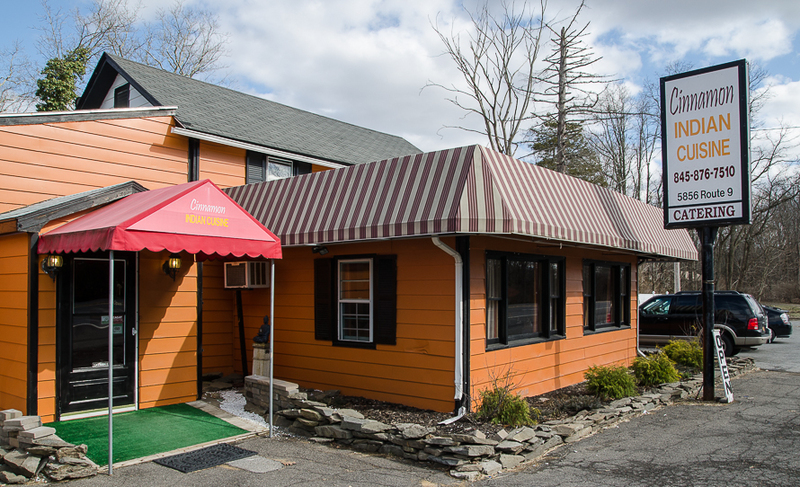 Cinnamon Indian Cuisine serves contemporary Indian food rooted in age-old traditions and has received a 5-star rating from Hudson Valley Magazine. 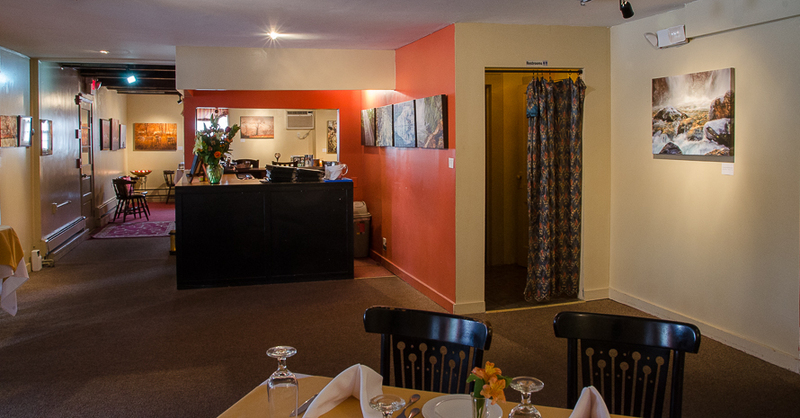 That magazine also rated Cinnamon as the best Indian restaurant in the Hudson Valley in 2012. Cinnamon is at 5856 Route 9, south of the village. For more information please call 845-232-5430. 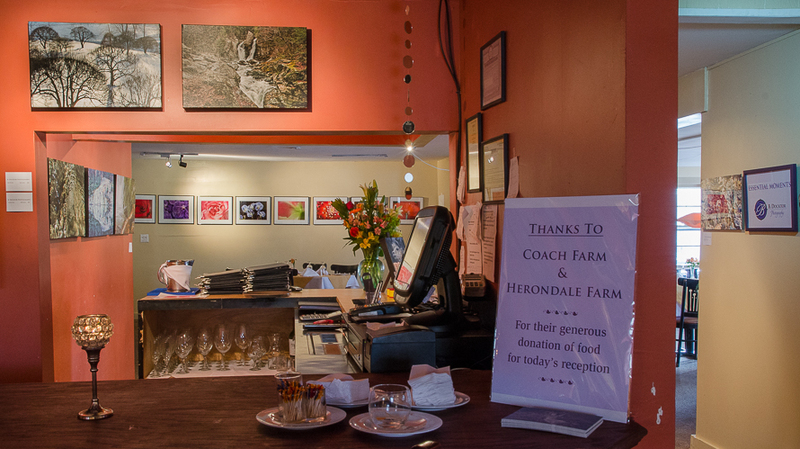 Every gathering I’ve had at Cinnamon–from the lovely opening reception with food donated by Coach and Herondale Farms–to meals with family and friends has been absolutely delightful and delicious. Shiwanti and Chaminda Widyarathna, the gracious owners/chef of Cinnamon have a knack for making their guests feel so welcome, and the food is wonderful! I want to thank Alex Lage for introducing me to Shiwanti. More photos of the installation at Cinnamon, and Ettinger Law Firm are below. To view my website, click here. 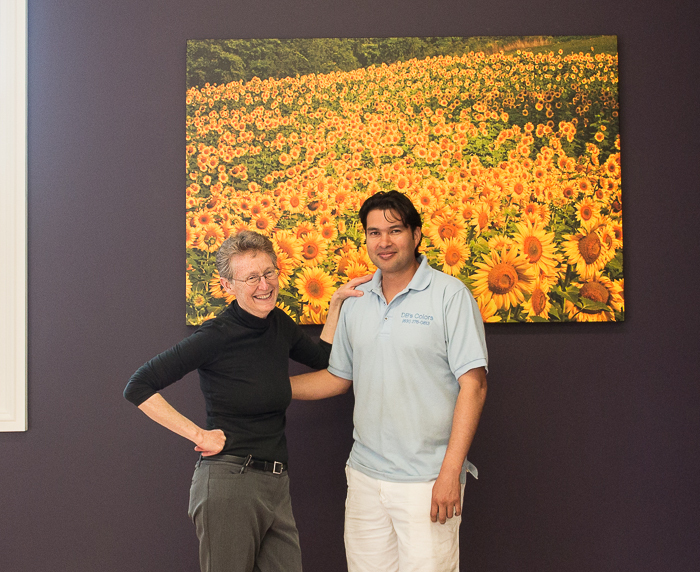 Below is one of the 18 images installed into Ettinger Law Firm in Southampton. This image was made close to my home in Ancram–one of the fields cultivated by Coach Farm–and it looks fantastic on that wall at 5 feet wide. This is how my images should be seen! It’s amazing how the sharpness holds up printed on canvas at that size–they really make an impression. I had so much fun working with Michael Ettinger to select the images, decide which walls they should go on, and at what size. He wanted a group of images that have thematic coherence and my landscapes, animals and nature fit the bill. He also loved the fact that I can make each image exactly the right size for a particular space. I love doing this, and seeing the smiles on people’s faces when they enter the space and see the images.